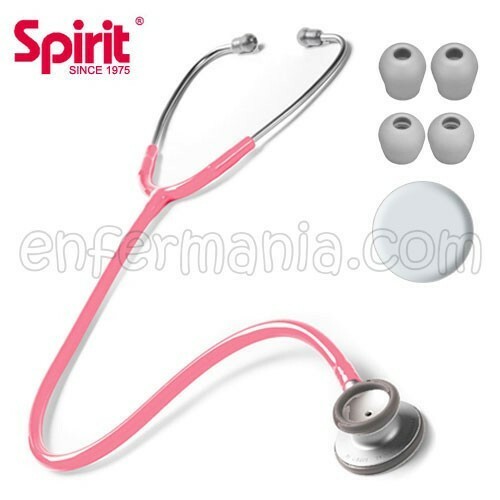 Stethoscope extra-light colour with a striking (Bubble Pink). Manufactured in anodized aluminum allows for a weight of only 120gr. Non-chilli rings on bell and diaphragm. Includes an additional membrane and two pairs of eartips soft of spare. Cartoning boxed with foam formed.